19 Central Street Weymouth, MA. 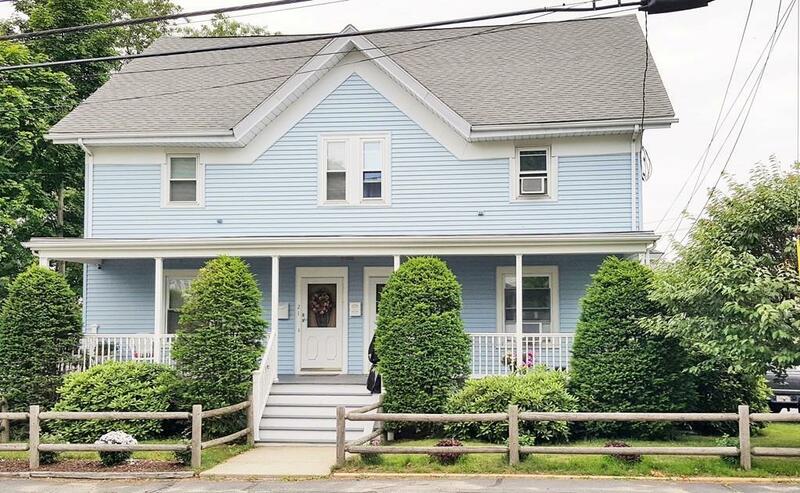 | MLS# 72354574 | Weymouth, MA Real Estate - Germaine Realty Group, Inc.
Six room, three bedroom, one full bath, two level condo in the sought after Columbia Square section of South Weymouth. Front farmers porch for your relaxing enjoyment. First floor has a living room, dining room, and an eat-in kitchen along with a mud room. Newer kitchen with upgraded cabinets. Easy to maintain laminate flooring throughout the first level. Second level has three bedrooms and a full bath. Hardwood floors throughout the second level with ceramic tile in the bathroom. Expansion possibilities on the third level with a walk up attic for that fourth bedroom or a bonus room. Close to shopping, restaurants, public transportation, and all of the area amenities, with everything in walking distance. Use and enjoy the three season porch, garage for storage, and back yard as common space for the two units to share. Like having your own home with minimal condo fees.